It's happening a fair bit: great tenants with no intentions of moving are being served N12 forms by their landlords, a legal notice which provides them with 60 days' notice to vacate the premises. And it's entirely lawful for the landlord to do this, as long as they meet some very specific conditions and act in "good faith." Asian female hand with metal key in palm. You're a model tenant living in Ontario. You look after your apartment. You pay your rent on time. You've never had a complaint -- or received one. You're being evicted. It's happening a fair bit: great tenants with no intentions of moving are being served N12 forms by their landlords, a legal notice which provides them with 60 days' notice to vacate the premises. And it's entirely lawful for the landlord to do this, as long as they meet some very specific conditions and act in "good faith." It's one of the pitfalls of renting a property that is privately owned and has three or less units, and the only way for a landlord to terminate tenancy without cause. This type of eviction has no bearing on the quality of the tenant. 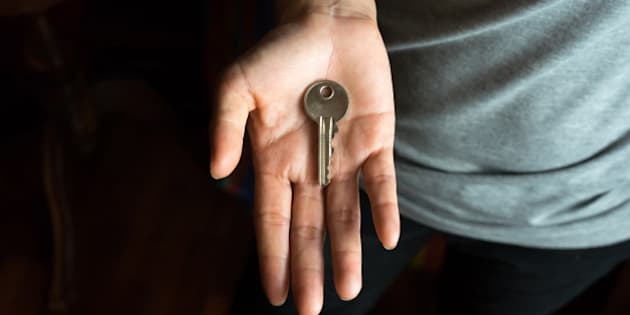 A caveat of the Residential Tenancies Act (RTA) provides that property owners have the right to take possession of an apartment they own for personal use. Personal use is defined as living in the unit themselves or allowing immediate family -- parent, spouse, child; spouse's parent, spouse, child; or a caregiver for the landlord or their parent, spouse or child -- to live in the property. If the property is being sold and the new owners want to take over the unit for personal use, they can also serve an N12 to the current tenant once the agreement of purchase and sale is signed. An N12 has to be served with minimum of 60 days and must sync with the completion of a rental period. If a lease is in place, the landlord cannot break the lease with the N12 form. They can use the final 60 days of the lease period as the 60 day notice period and terminate the tenancy the day the lease term has been completed instead of allowing the tenants to continue on a month-to-month term. It seems reasonable that a property owner may want to use their property at some point, and although it just doesn't seem fair to a good tenant who was unsuspecting and unprepared to move, it's perfectly legal. It's unfortunate for the tenant. Moving is a huge life change, an upheaval that can be difficult to manage, both personally and financially. Long-term tenants may find that rent is considerably higher in today's market than when their current rent was agreed upon, and there's really no recourse for them. And that's where issues arise. This may be the only way for a landlord to have a clean, clear-cut way to evict an otherwise great tenant. Older rentals are bound by rent control. Regardless of what the current benchmark for market rent is at, landlords can only raise the rent by the provincially stipulated annual increase which is a max of 2.5 per cent per year. Any rental built on, occupied or first rented after Nov. 1, 1991 isn't bound by the RTA's rent control and can be increased annually with no maximum. It enables the landlord to keep rent at market value -- without the safety net of stable rent for the tenant. But anything built or occupied before Nov. 1, 1991 does not. With market rents having increased significantly, it's easy enough to imagine that this could be motivation for a landlord to try to get new tenants into a space. The landlord can move in, and when they're ready to move out, can rent out the unit at whatever price they want to set. They're under no obligation to let the previous tenants return, and if they do, they don't have to do it at the old price. Depending on how far below current market value the rent is, this may be the only way for a landlord to have a clean, clear-cut way to evict an otherwise great tenant. Another issue that has arisen is the alternative of Airbnb, a short-term rental accommodation arrangement that has been proving to be quite lucrative in some cities. Instead of residents renting out their own homes while they're away, many dedicated Airbnb residences are cropping up. Units are finished and furnished to host short-term renters -- a few days to a few weeks. This offers the potential for a higher rate of return than a long-term tenant's rent might be. While there are no laws preventing the use of an apartment as a dedicated Airbnb property, this is not considered "landlord's personal use." But there is no stipulated period for how long a landlord needs to occupy an apartment. The RTA only addresses that the landlord must be serving an N12 in "good faith" that they are taking over the apartment for their personal use. A tenant who receives an N12 doesn't have much recourse -- in a situation where the landlord is completely acting in good faith there are no grounds. But the tenant can oppose the N12 by refusing to leave. If the tenant refuses to leave, the landlord has to file an eviction order. The results may be that the tenant ends up prolonging their departure and having the landlord's "good faith" put to the test at a tribunal hearing, but an eviction order is an added expense, plus time and aggravation. Unfortunately, you likely shouldn't expect a great rental reference after challenging the landlord! A tenant may feel their landlord isn't acting in good faith and may want to watch to see whether the apartment is back on the market quickly. The outgoing tenant does have 12 months to file an application against the landlord if they can demonstrate the landlord was not acting in good faith.